Over the years, we’ve worked hard to build a reputation for professional integrity, efficient customer service, high quality products and value for money. Customer satisfaction is paramount to Harp Windows, we do everything possible to ensure our customers are delighted with their new windows, doors or conservatory. 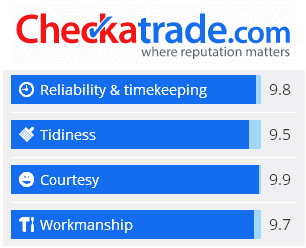 We are fully endorsed by WHICH as a Trusted Trader, plus you can read many reviews about us on Checkatrade – and for further peace of mind our customers are always welcome to visit us at our new showroom in Watford, or our factory in Watford, where we manufacture many of our products. We are a FENSA registered company, 10912. Based in Watford, we install high quality replacement windows, doors and conservatories in Watford, St Albans, Harrow, Pinner, Northwood, Hemel Hempstead, Berkhamsted, Amersham, Beaconsfield, High Wycombe and throughout Hertfordshire, Buckinghamshire, Middlesex and North London. If you would like to receive a free, no obligation quotation please call us on 01923 231 111 or use our online “Quick Quote” service – we’re here to help. 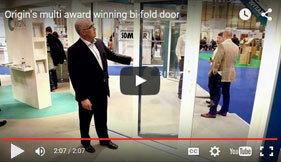 PLUS: Our blog features a range of articles about our products and exciting new developments within the industry. We have moved to new larger premises with more parking spaces at 91-93 St Albans Road, Watford, WD17 1UL. Entrance and parking via West Street – satnavs use postcode WD17 1RY.